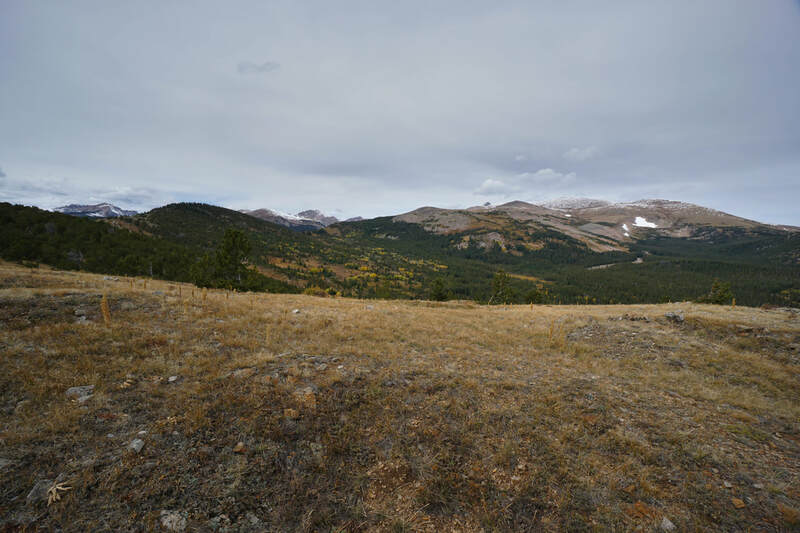 DIRECTIONS: From the traffic circle in Nederland, exit the circle for 72 north. Just after the hairpin turn heading north from the traffic circle, turn left (west) onto Caribou Road. 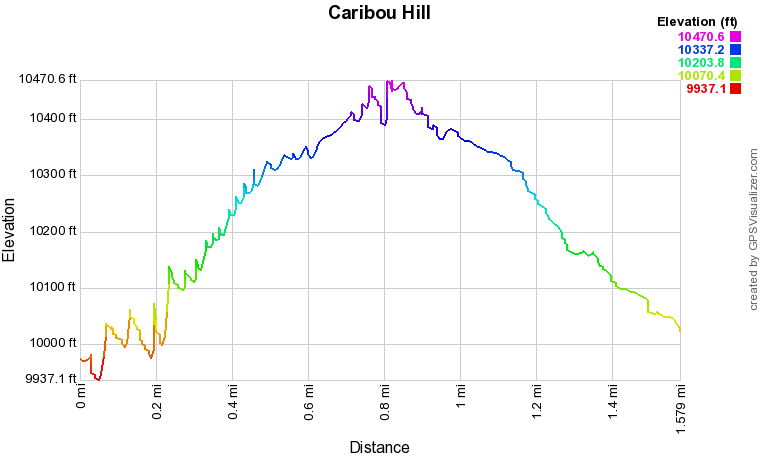 Caribou Road is an improved dirt road and most vehicles should be able to make it to the Caribou site, 5.5 miles from 72. 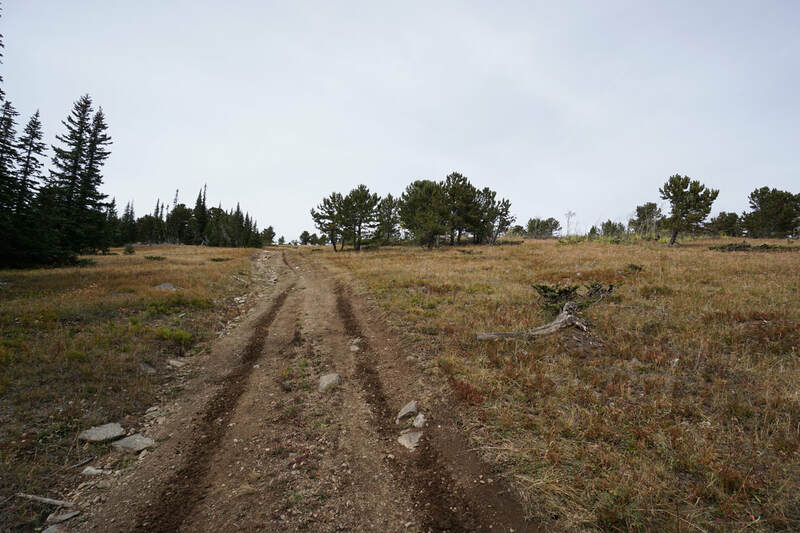 The last half mile is rocky and might be problematic for low clearance vehicles. 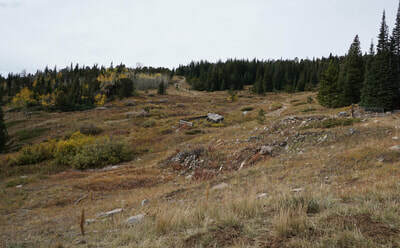 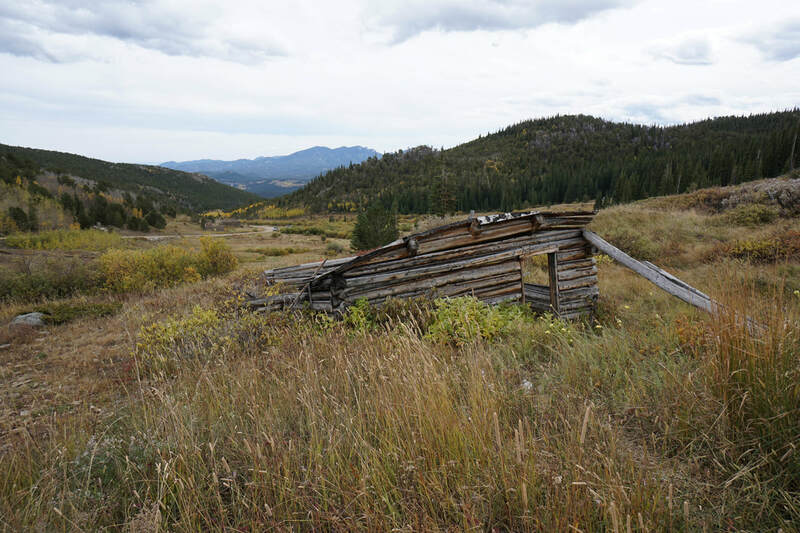 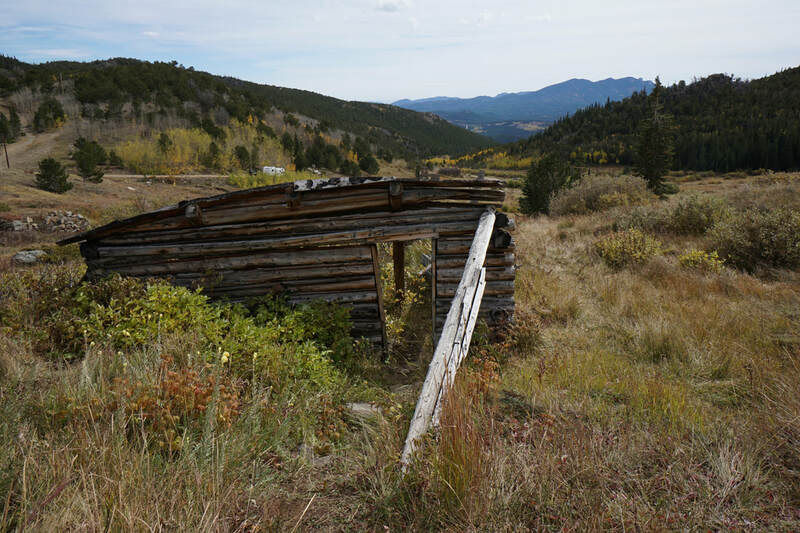 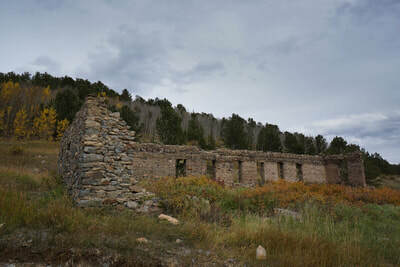 The historic Caribou Townsite features ruins of buildings and relics dating back to the early mining boom along the Front Range. 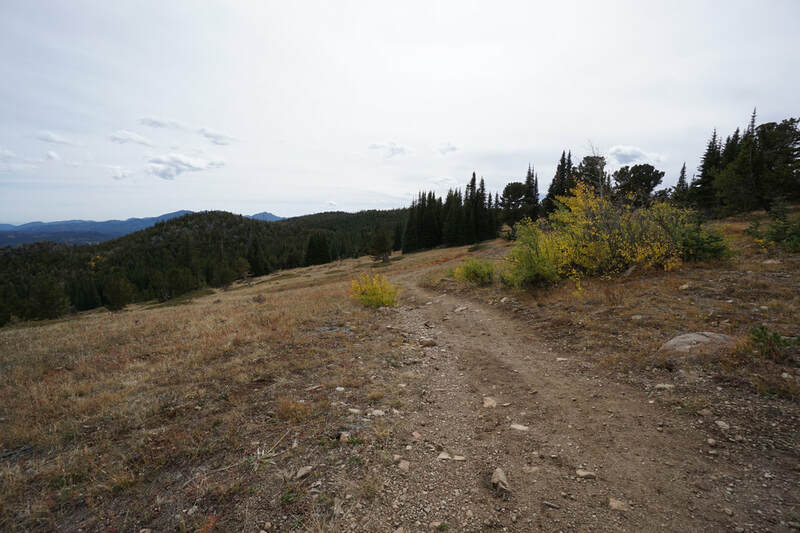 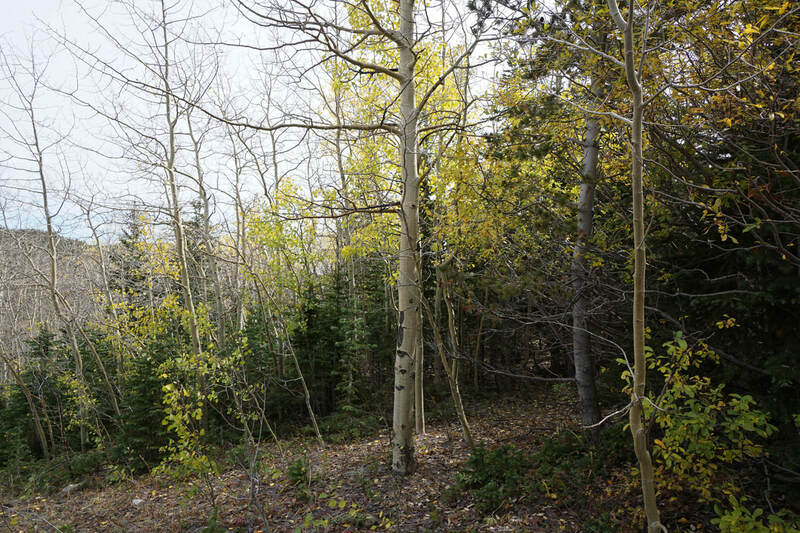 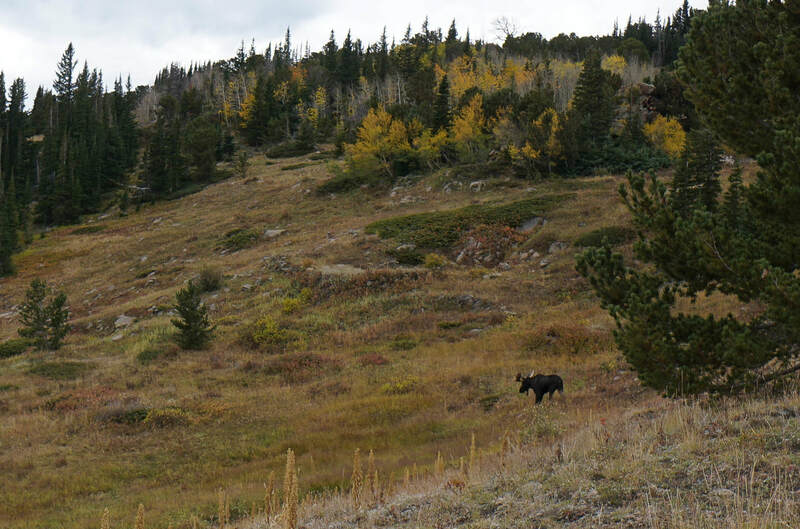 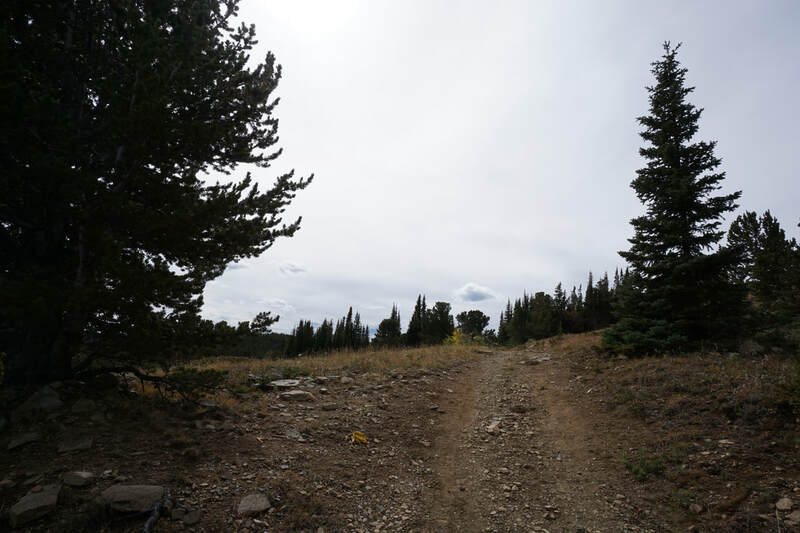 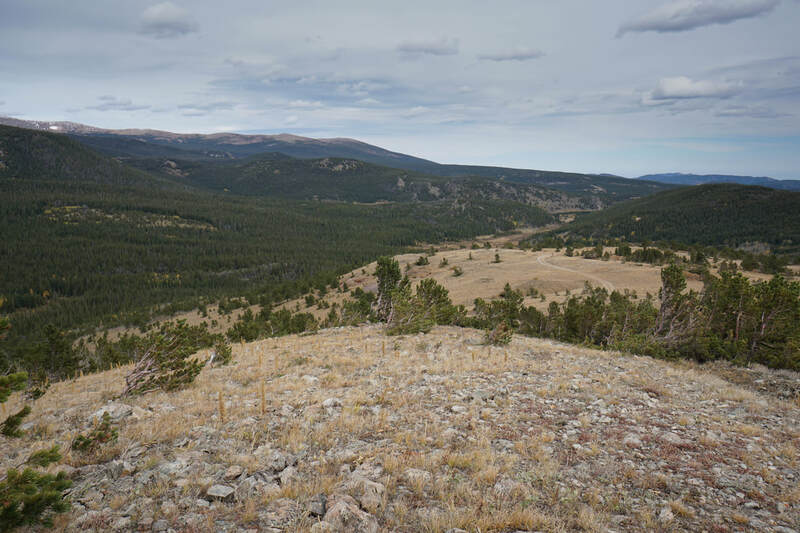 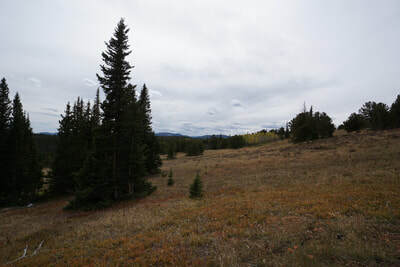 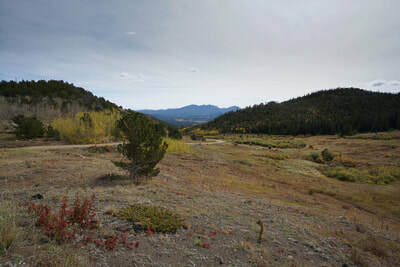 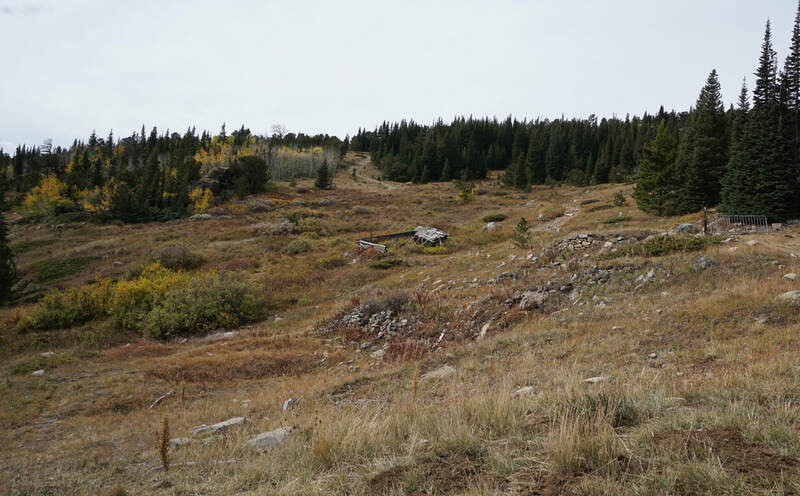 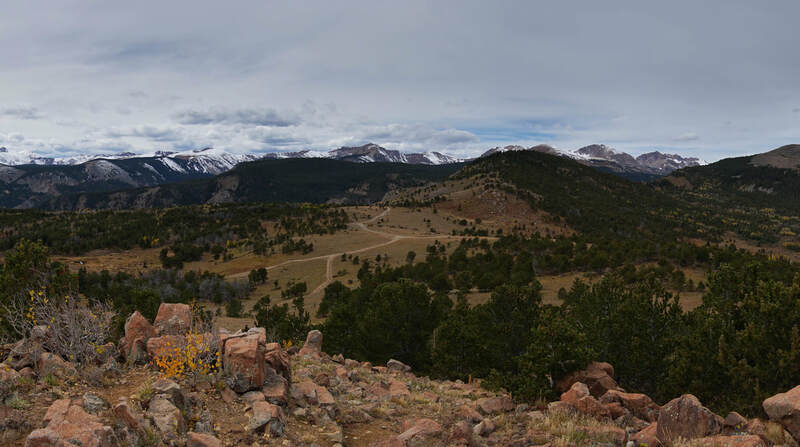 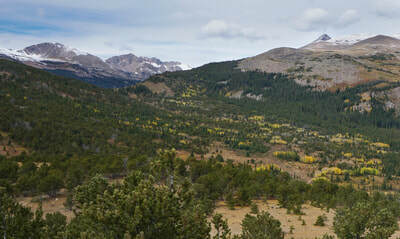 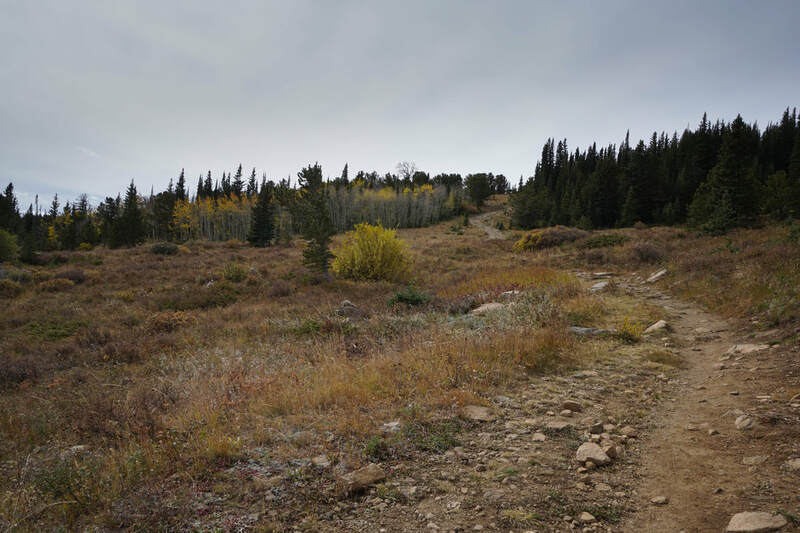 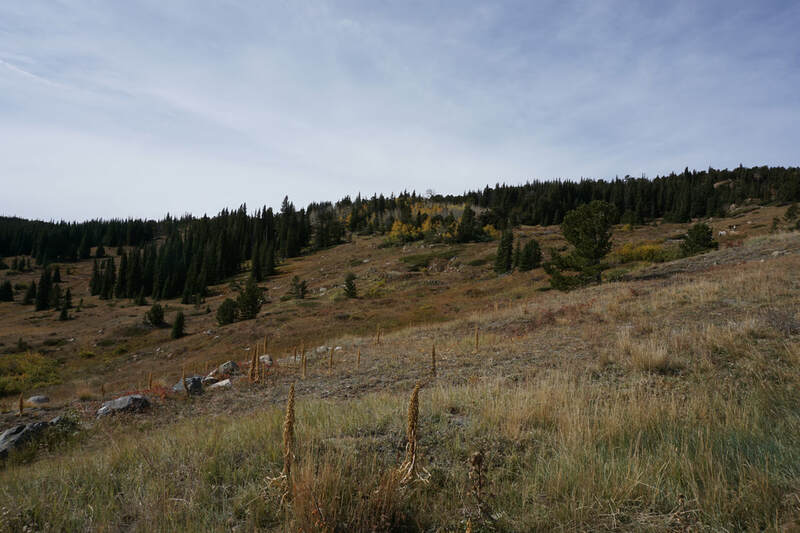 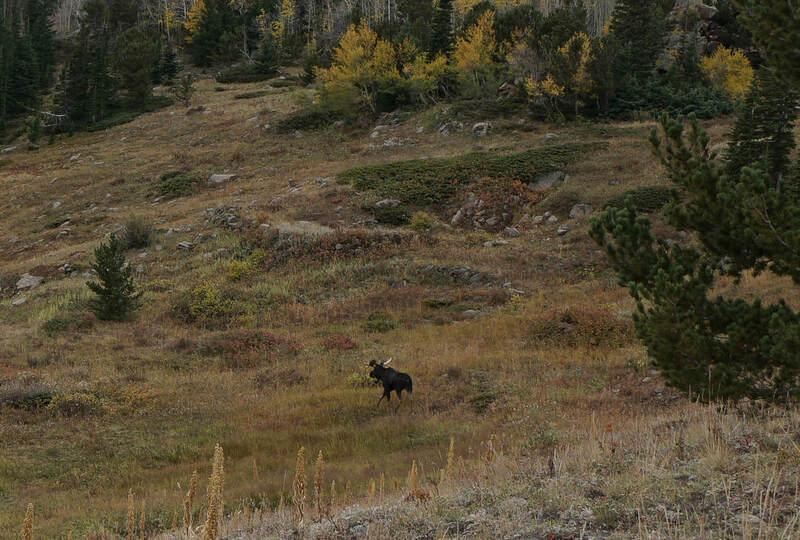 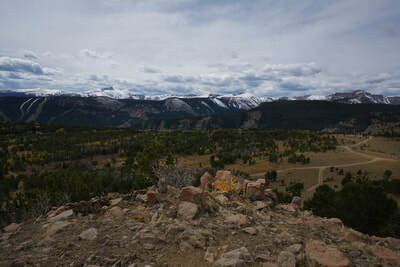 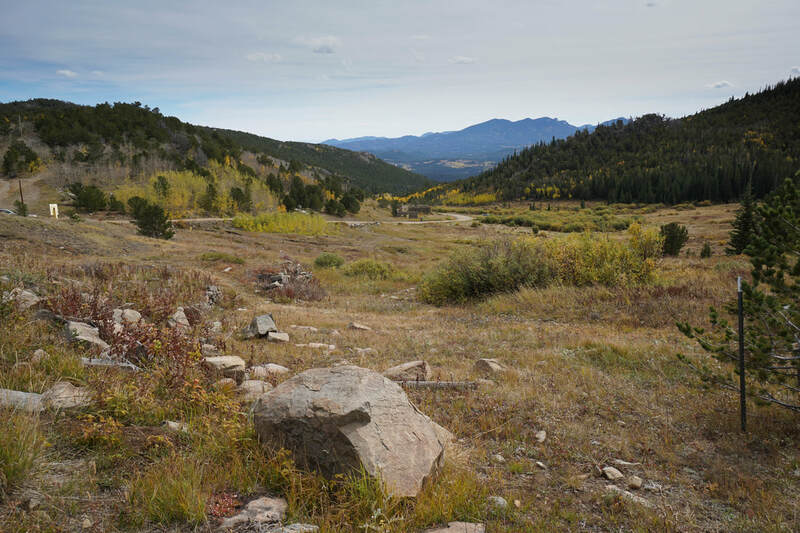 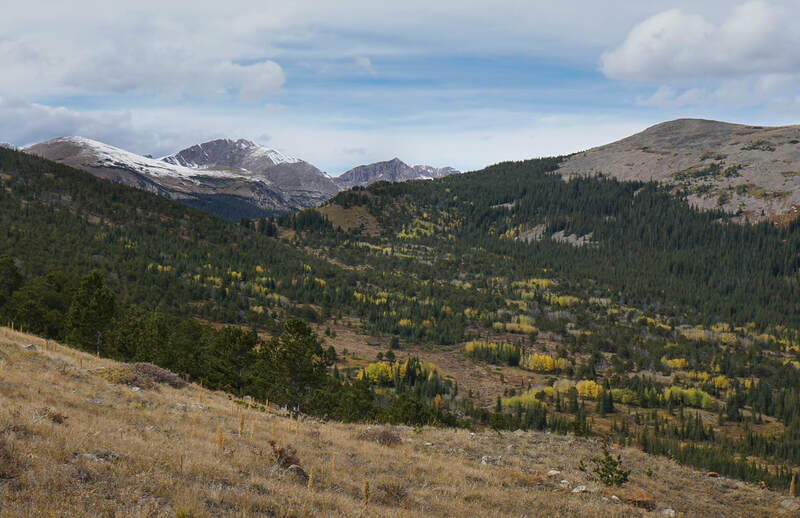 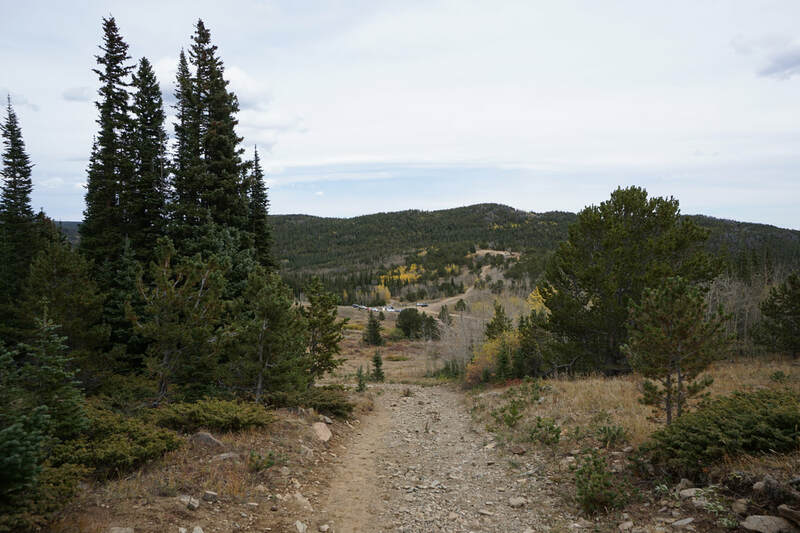 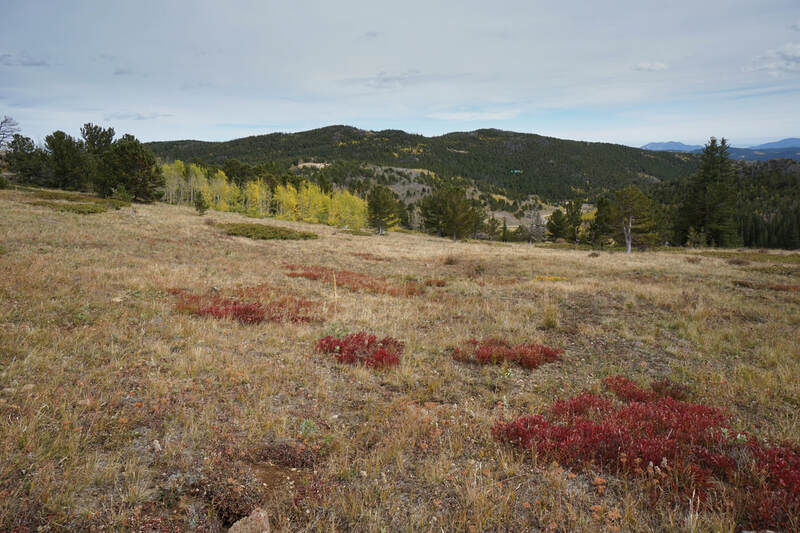 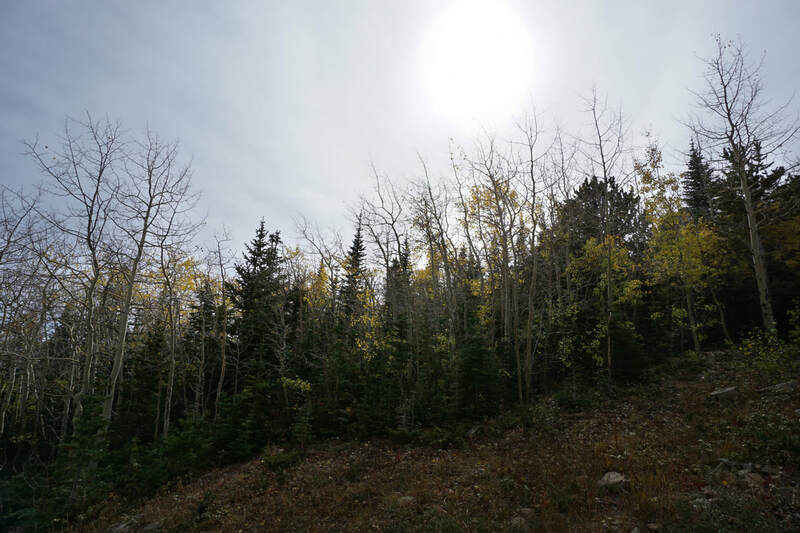 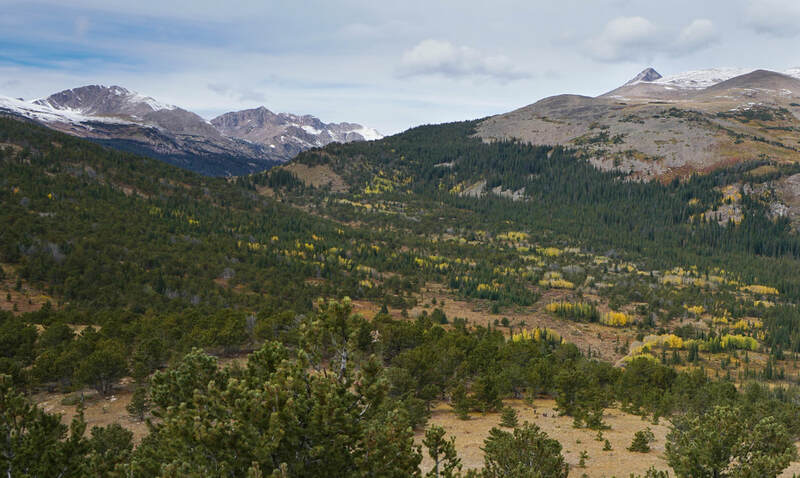 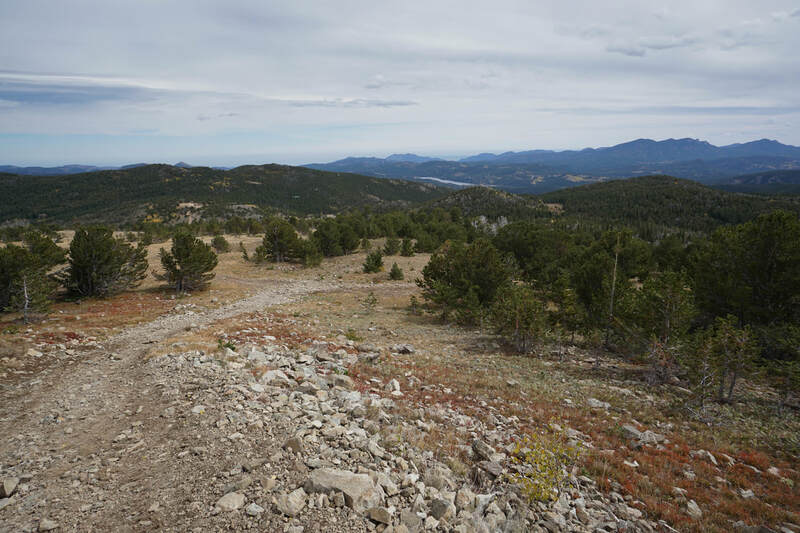 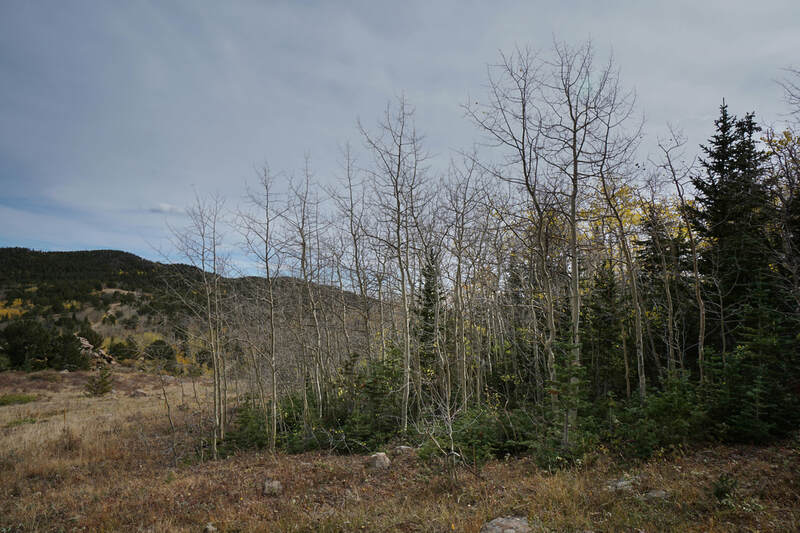 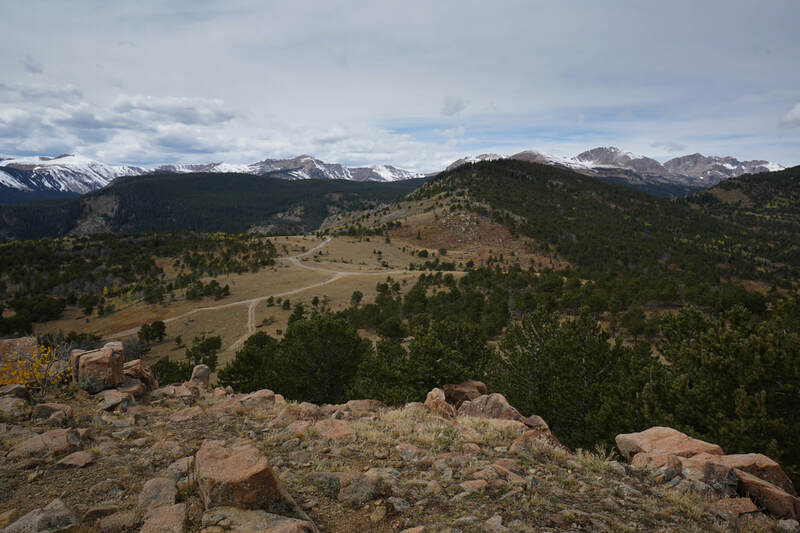 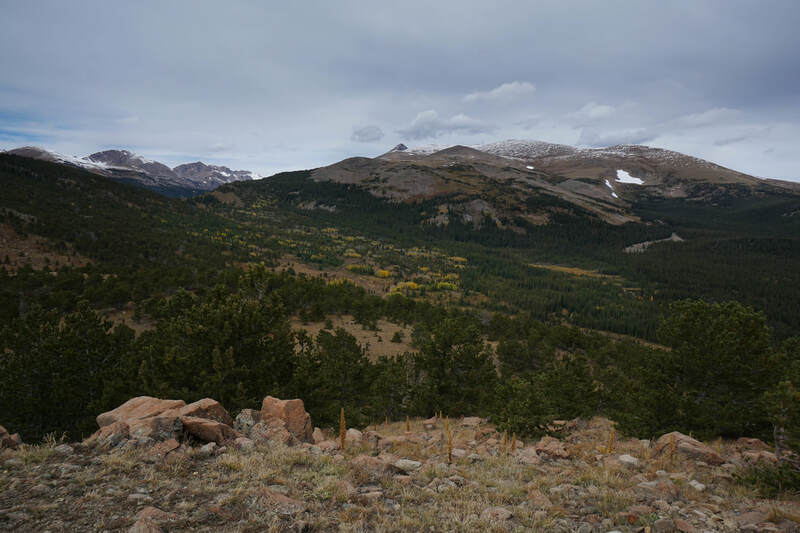 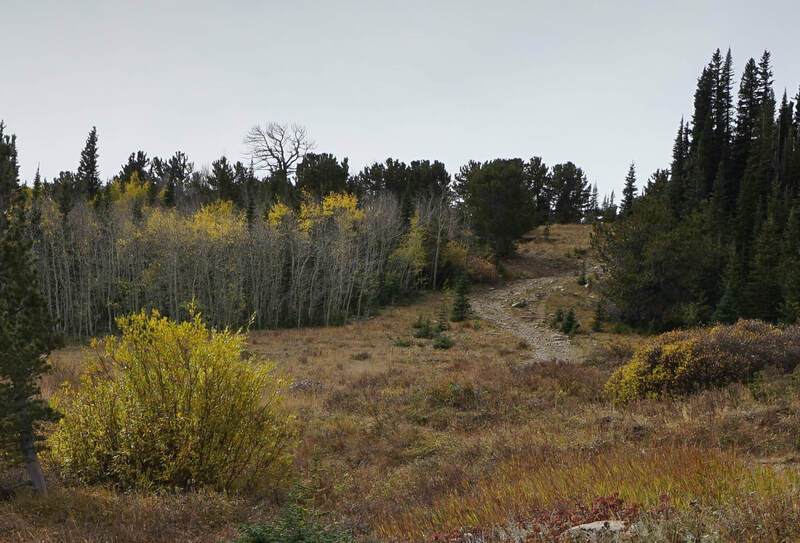 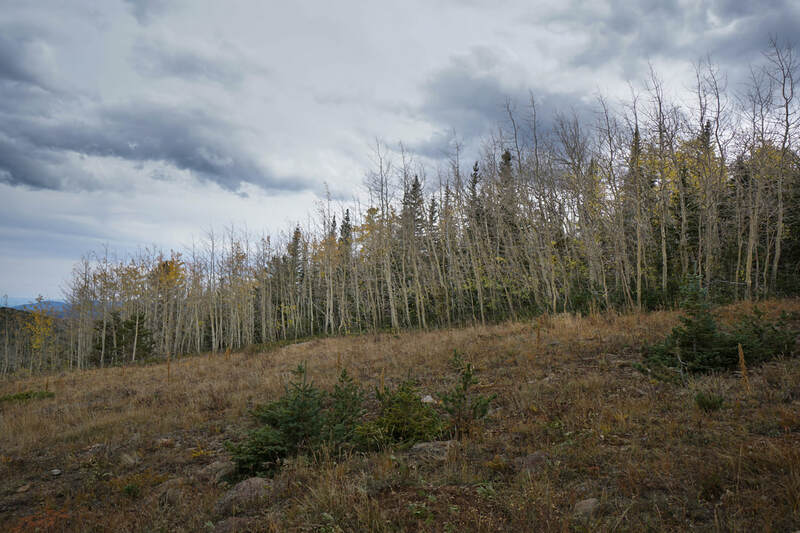 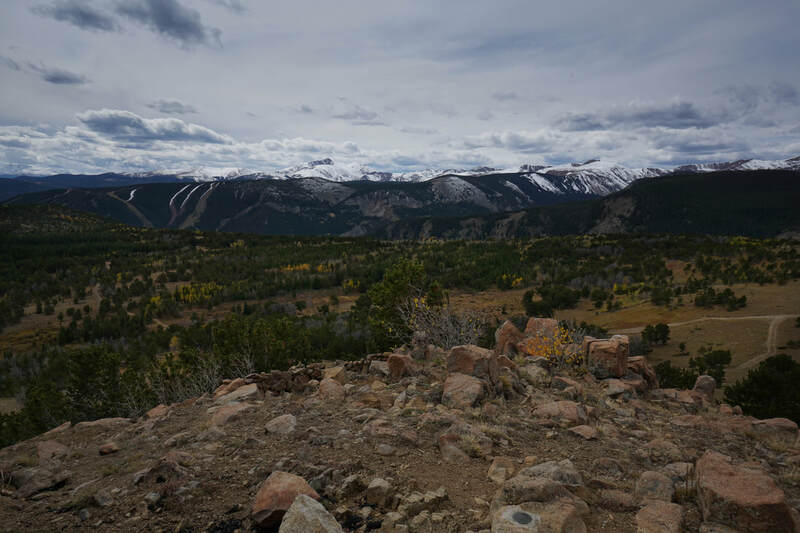 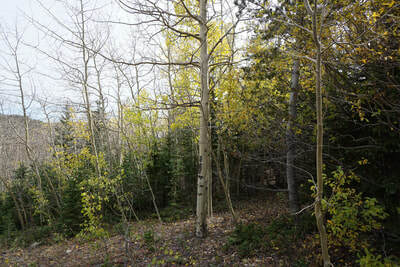 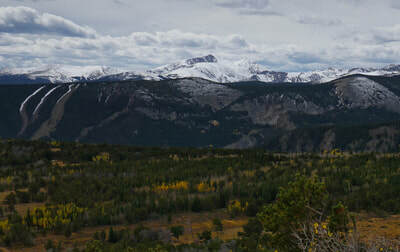 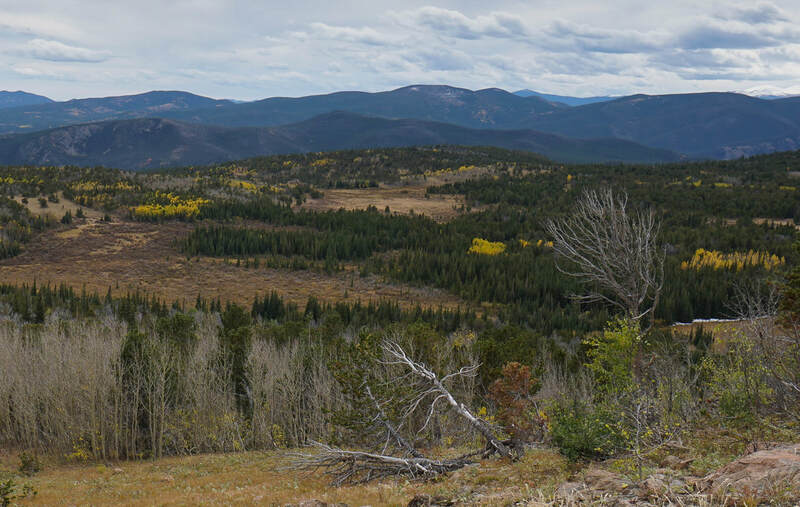 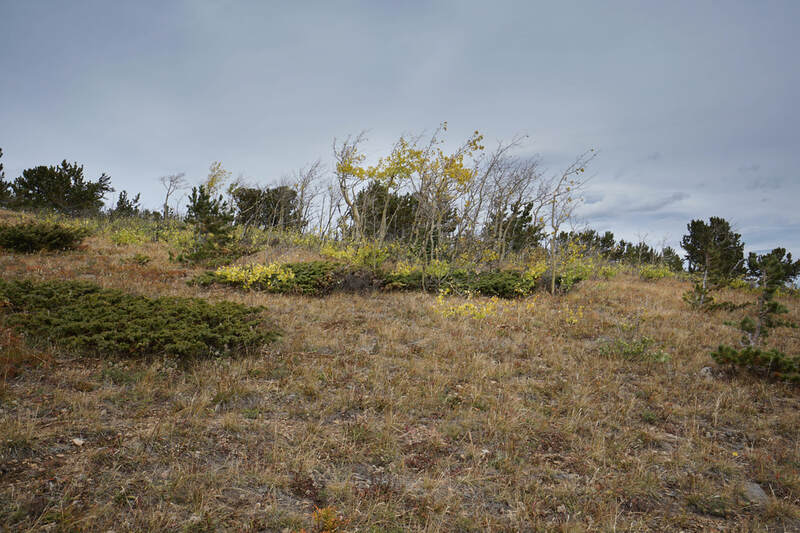 In the fall, the drive up Carbiou Road is a good way to see some fall colors and escape the crowds in Nederland, Eldora, and the surrounding Indian Peaks trailheads. 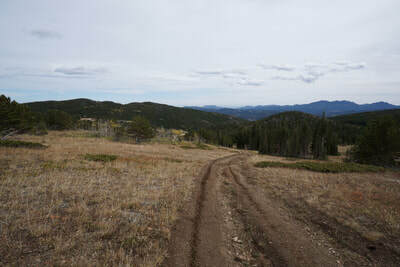 This area is also popular with off-road vehicle users so use caution if hiking along the 4x4 trails. 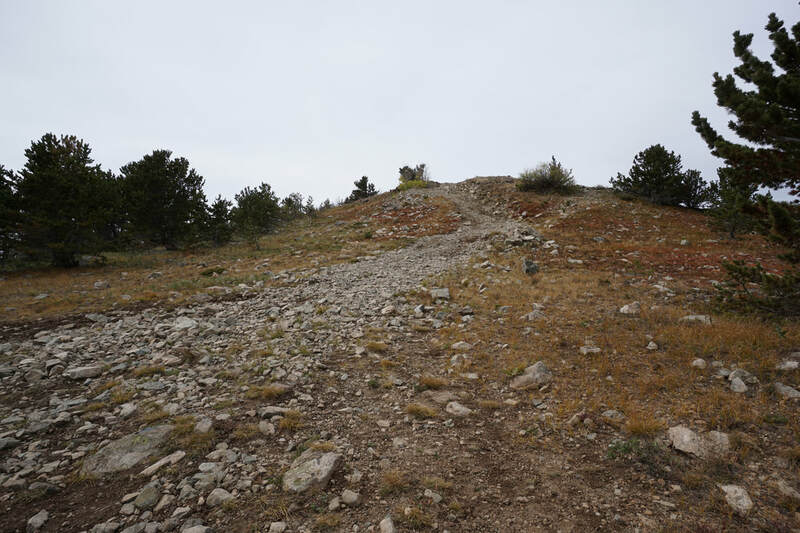 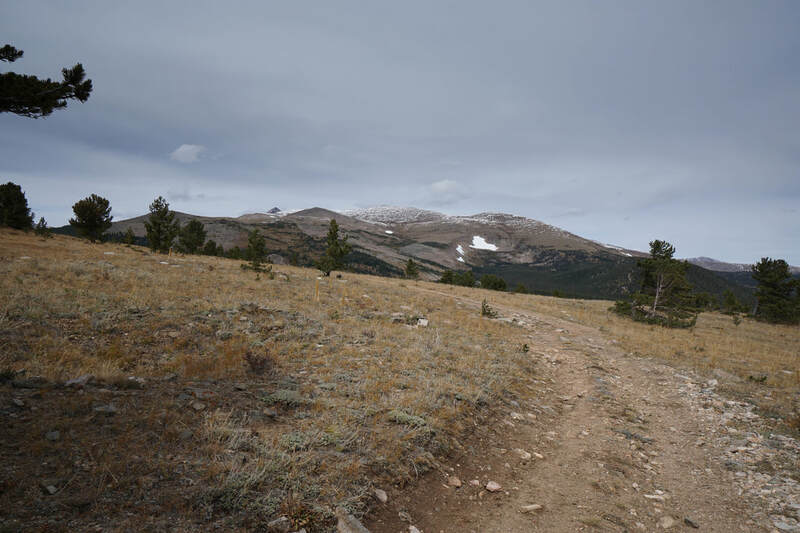 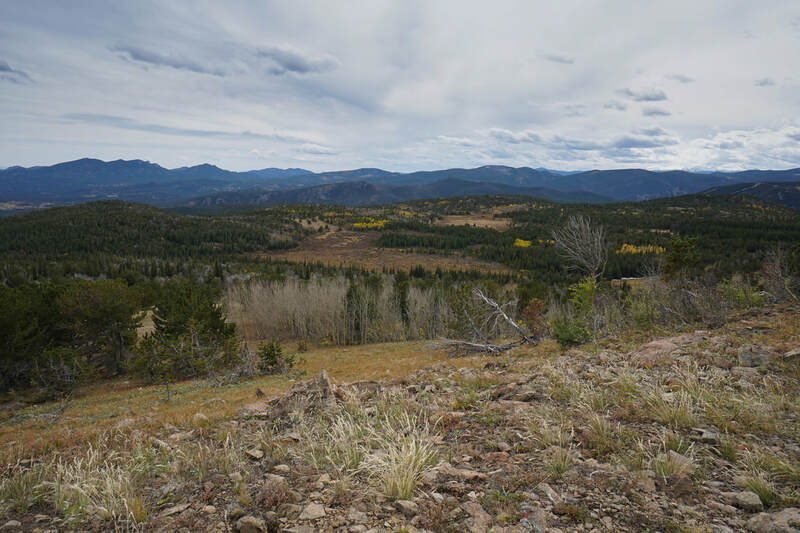 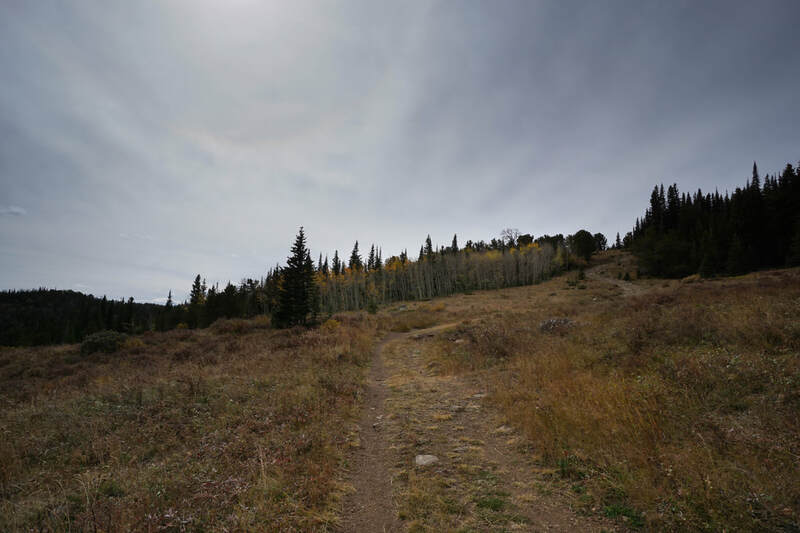 From the parking area, you have a few hiking options: (1) 4x4 road 128J, (2) 4x4 road 505, (3) the trail that becomes the Mineral Mountain Trail through Caribou Flats (starts near the stone ruins downhill from the parking lot), or (4) follow the old road (trail) up towards Caribou Hill. The summit of Caribou Hill sits about 500 feet above the townsite and has tremendous views of the Indian Peaks and the surrounding area. 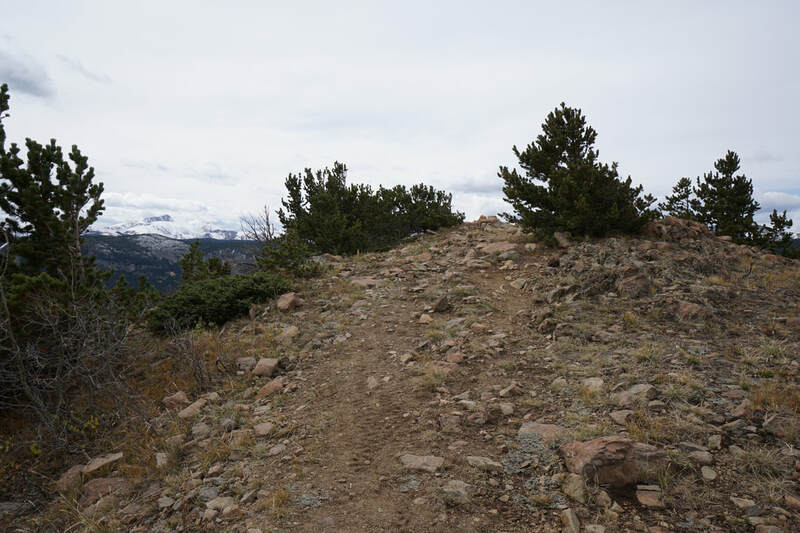 The hike to the small summit is relatively easy with only a few steep rocky sections. From the western (uphill) end of the parking area you'll see the gated dirt road heading up towards a grove of Aspen Trees. 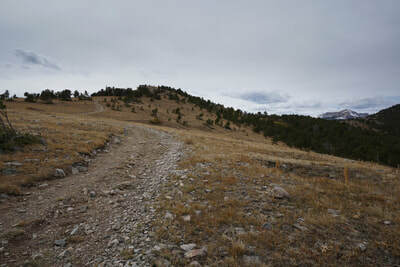 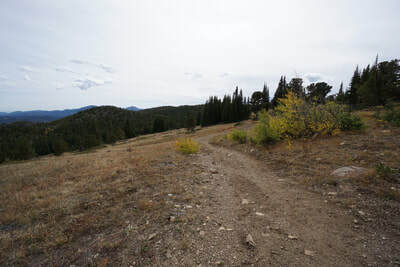 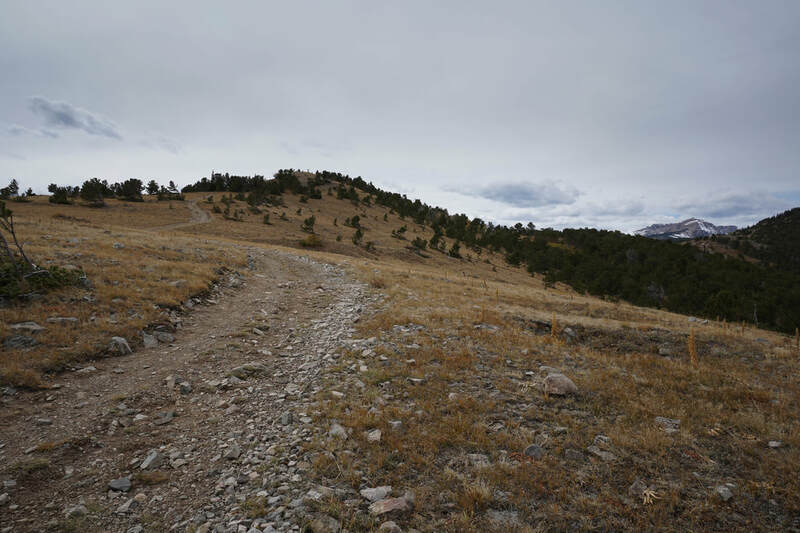 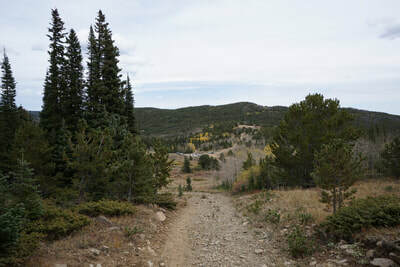 Follow this road through sparse pine and sparse aspen groves until the fork about .3 miles. 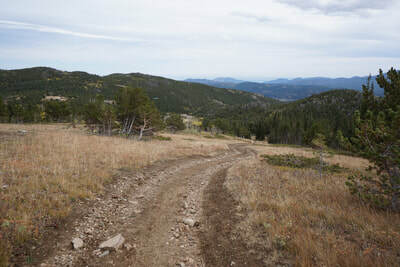 For the direct route to the summit turn right at the fork. 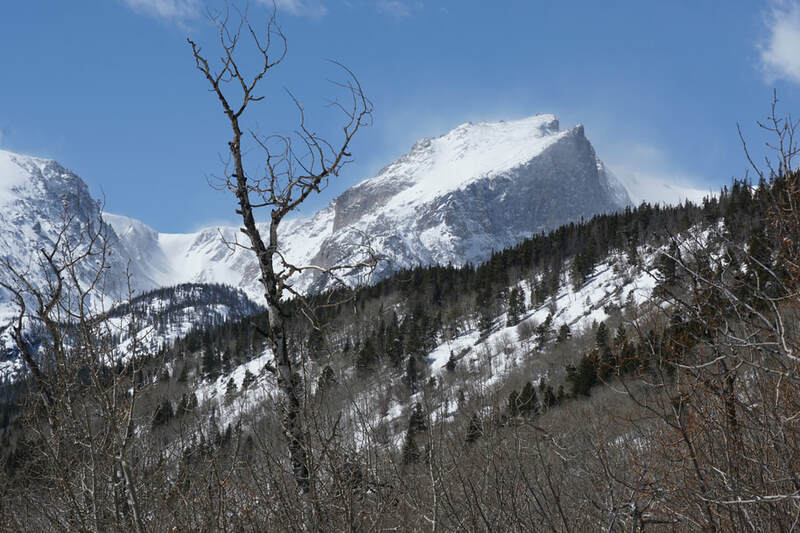 The trail then gets a bit steeper as it rises out of the trees and you get your first views of S. Arapaho Peak (large rounded mountain) and the jagged tip of N. Arapaho poking out from behind. The views for the remainder of the trail are outstanding, especially in the fall. The main view as you hike is of Mt. 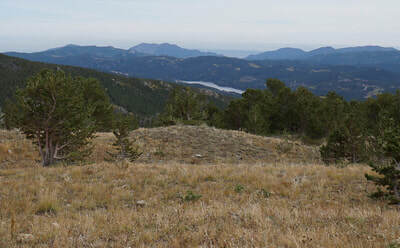 Neva and Mt. Jasper towering over a basin filled with colorful pockets of aspen trees. Soon you'll arrive at the base of the summit, which is just a short steep rocky hike to the top. The view from the top is fantastic, wonderful views of the Continental Divide as it stretches from Mt. Neva south over Eldora Ski Area to James and Parry Peaks. Off in the distance to the south you may be able to make out Mt. 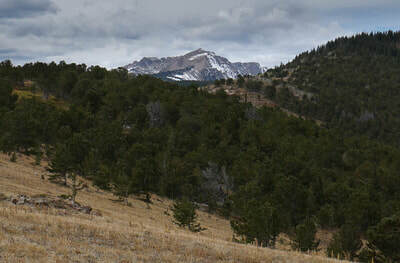 Evans and Mt. Bierstadt. To the east your views of Nederland, Baker Reservoir, and Eldorado Canyon can't be beat. 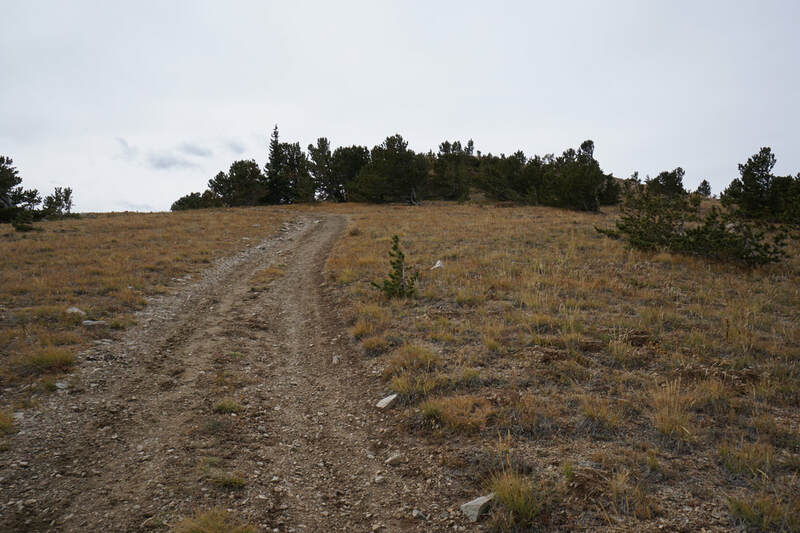 For your return trip, you can follow the same route back (as described here) or you can continue past the summit along the road and make a loop without adding too much mileage to the hike. 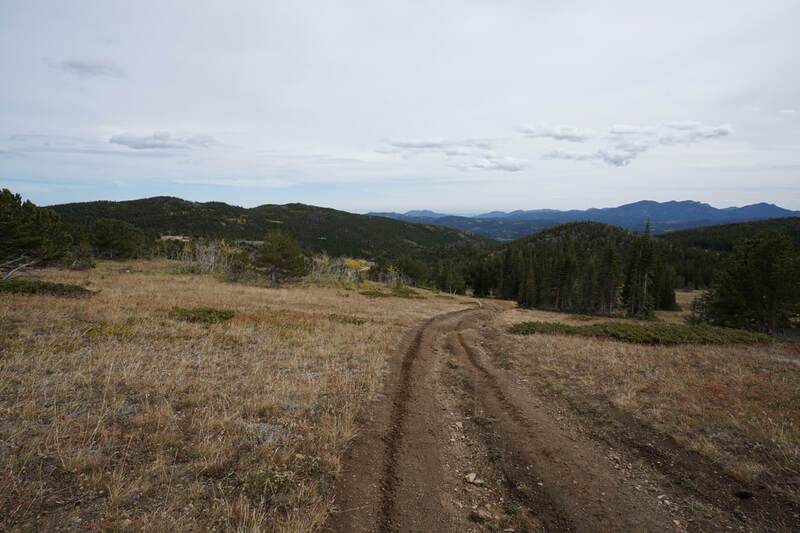 There are many options for exploration here and the ease of access and the views of the surrounding mountains makes is a worthy area to get to know better.